Little Rock We need to get rid of the three strikes program for people and institute it for banks, whose criminal conduct continues to rage unabated. 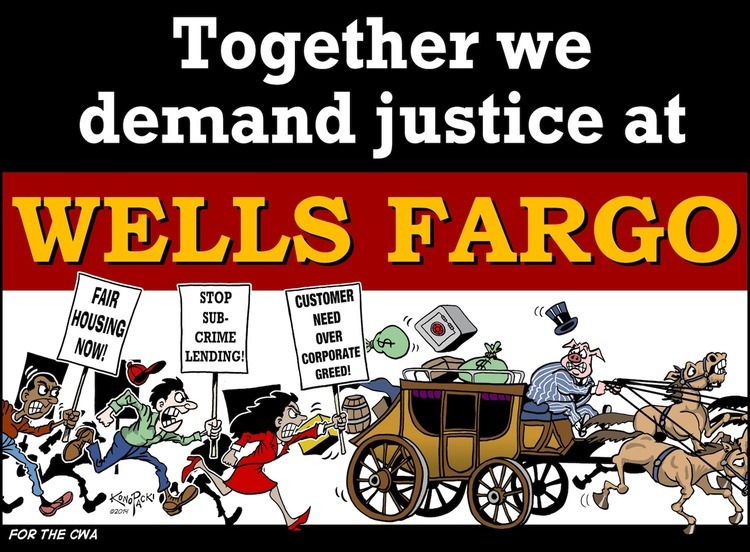 Wells Fargo, the West Coast based banking center, is a serial abuser of mortgage borrowers using predatory practices. Cook County, home of Chicago, and 5 million good people, has sued the bank under the Fair Housing Act for racially discriminatory practices targeting African-American and Latino families from the point of origination past the point of payment and even foreclosure to make sure they always get theirs in a practice Cook County called equity stripping. “Equity stripping is an abusive form of ‘asset based lending’ that maximizes lender profits based on the value of the underlying asset and onerous loan terms, while in disregard for a borrower’s ability to repay,” according to the complaint. Aimed also at minority women, the bank’s fee structure and its practice of bundling mortgages to sell as securities allowed the lender to make money off loans even in the event of a foreclosure, the county said. Cook County is asking for $300 million in relief from Wells Fargo. The bank of course denies everything, but they can’t possibly have any credibility left with anyone. As always, they were obnoxious and combative in their response, having a spokesman say that it would be better if Cook County kept wasting its time trying to work with them rather than getting justice for their citizens. Cook County is not the first metro area to push forward to protect its citizens these days with a Fair Housing claim. Earlier similar suits have been filed in Miami and Los Angeles against banks for similar practices. Miami’s suit was dismissed as untimely and is on appeal, but attempts to throw out the California claim have been unsuccessful. Banks have been paying billions to settle mortgage abuse suits in record fines, yet little seems to have led them to stop such predatory practices. Suits have also been brought recently in other cities under the Community Reinvestment Act for direct discrimination in lending. The New York Times and others continue to argue that the only proven path to citizen wealth is home ownership, and there is some merit to the claim, but with prices outstripping any possibility of ownership in many cities, and banks, like Wells Fargo, arguably targeting the very working people trying to create income security through home ownership, there seems to be a giant “L” for loser on the foreheads of low-and-moderate income families throughout the country. Recently Massachusetts Senator Elizabeth Warren announced her refusal to vote for approval of an undersecretary in the Treasury Department saying that the President and others needed to get the message that Wall Street should no longer be allowed to set the economic policy for the United States. As long as banking and its allies play “throw the rock and hide the hand” in a persistent criminal conspiracy, working families can’t build wealth, and Warren and Cook County are right that we need more protection from these crooks. This entry was posted in Citizen Wealth, Financial Justice and tagged Cook County, discrimination, Fair Housing, Foreclosure, predatory lending, wells fargo by Wade. Bookmark the permalink.